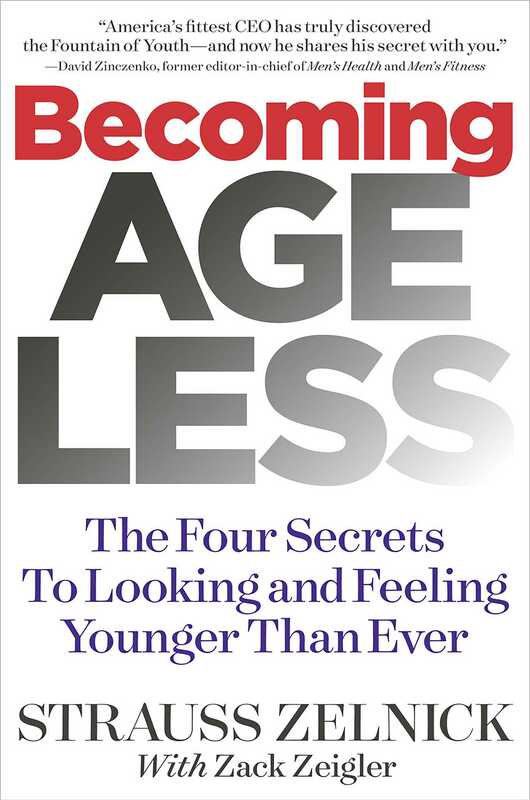 Four secrets to looking and feeling younger than ever. Becoming Ageless presents a three-month, detailed diet and exercise plan to create a leaner, more muscular and happier you. Developed by business mogul and fitness buff Strauss Zelnick--founder of the private equity firm Zelnick Media Capital and president and CEO of Take-Two Interactive, the company behind blockbuster video games such as Grand Theft Auto and NBA2K-- the strategies contained in Becoming Ageless are the same tactics that allowed Zelnick to evolve from a skinny, out-of-shape business executive (a workaholic wunderkind who headed the film studio 20th Century Fox in his early 30s) to one of the world's fittest and most physically active executives who reached his best-ever shape in his late 50s! "If you believe my fitness buddies," Zelnick writes, "I have a body that's aging in reverse...And Becoming Ageless is filled with the amazing tips and unique principles you'd find if you trained with me."